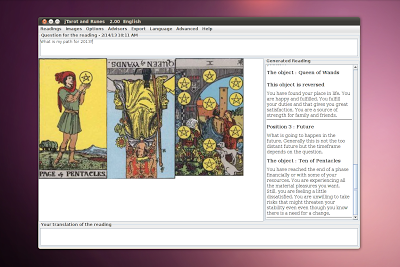 While there really is no Tarot application in Ubuntu, or linux for that matter, there is however a very well crafted java application available which runs smoothly on Ubuntu. jTarot is a tarot personal advisor. jTarot will do a “reading” for you when you need advice. A reading displays a number of cards and then describes what these cards mean. You take the reading and apply the meanings of the cards to your situation. The app is very straight forward, especially if you know a hint about the Tarot deck. 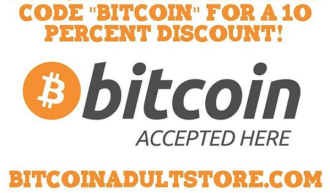 It gives you a ton of options. From several different deck styles, 35 spread layouts, four different advisors (or interpretations), and more. 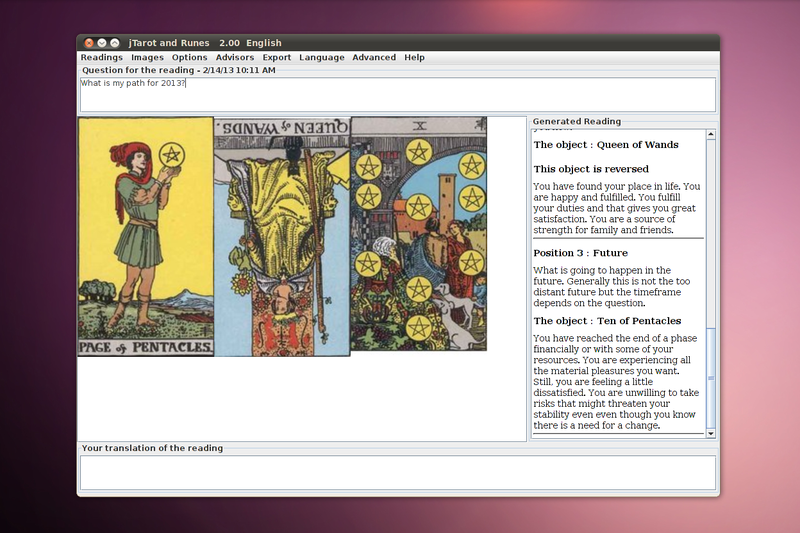 Just type in your question, pick the card spread and you will then be presented with a grid of cards face down where you will select the cards you desire. You can download the jTarot.jar file from the link below. Once downloaded, make sure to right click the file and set the permissions to executable. The app works fine with both the OpenJDK and with Oracles Java. Launching the app is with either a double click or right click and launching it with Java.